What is one thing that is done the most in the kitchen? A mixer grinder is one of the most essential items that you should keep in the kitchen. I would say that it’s arguably the most useful in making food. It sets the basis for making lots of different dishes. It is mixing and grinding to cook. 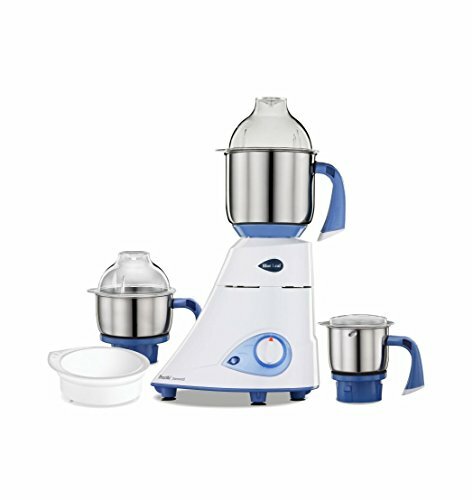 Every dish you want to prepare must have something that will be mixed and grinded; thus the need for the best juicer mixer grinder next to you. If you are a kitchen freak, then you can never underestimate the value of keeping a reliable juicer mixer grinder. Everyday tasks in the kitchen make it extremely important for you to have the best mixer to get things done a much quicker pace. A grinder makes your work less stressful, by cutting down on the amount of work you do. You can get your favorite shakes, smoothies ready in no time. Even cooking escalates quickly with a reliable mixer around you. There are many mixer grinders in the market but picking the right one is always a task. Not all of them offer you the perfect grinding and mixing you require to make a dish in its natural taste. It is a common happening in every market that there will always be some bad quality products that are just there to make up the numbers and meet the demands. This is where you need to seek advice. It is because of this that we have come up with the review of the best mixer grinders in the country so that you wouldn’t make a costly mistake. You can either buy a Mixer Grinder or Juicer mixer grinder. So what’s the difference between mixer grinder and juicer mixer grinder? 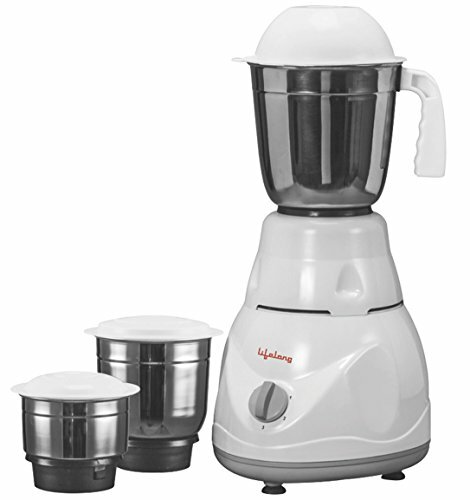 Juicer Mixer Grinder is indeed a mixer grinder with an additional jar for liquidizing. Juicer Mixer Grinders bring the best of both the worlds (Juicer + Mixer Grinder). I don’t see a point in wasting your hard earned money in a separate Juicer machine while it can be done with just any Juicer and mixer grinder combo. 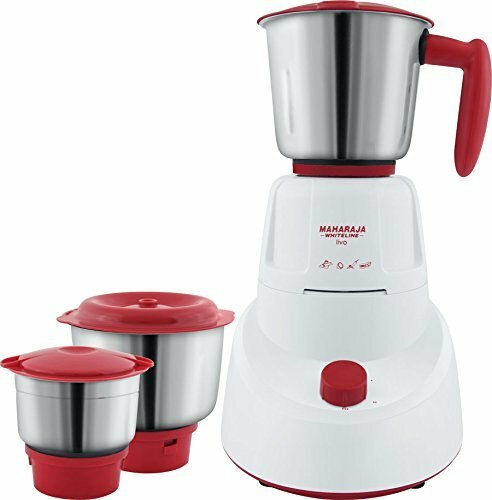 Safety lock system ensures that the mixer grinder does not start operating until the Jar is securely locked with the base unit. This will help avoid the accidental starting of mixie when the lid is still open or your hands are still inside the Jar. Consider buying a mixie that comes with an attached Vaccum Footing cups. This small detail ensures that the mixer grinder will hold on to the kitchen table or any space and will not slip down easily. This feature is especially useful when the Jar is filled with unbalanced loads of contents. We all know how much our mixer grinder can handle. But still, due to the hurry bury work style, we often tend to overload the mixer grinder with lots of loads more than it can handle. Sometimes it results in bursting of the motor. 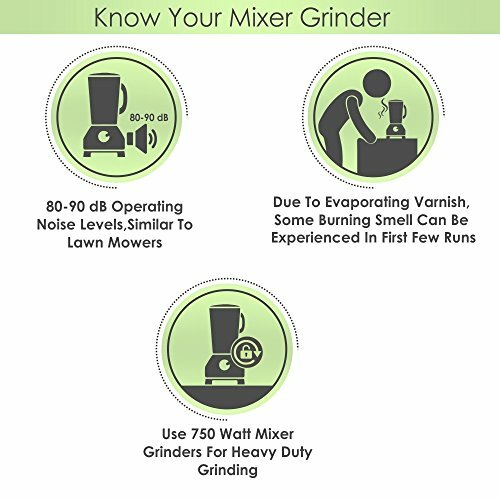 To avoid this problem, modern mixer grinders are equipped with the function called “Automatic over Load Protection“. It functions more like a common fuse found in our Electricity Lines. When the mixer grinder is overloaded, it automatically breaks the circuit and stops the mixer grinder from functioning. Thus it saves the mixer grinder from getting the potential damages. To handle the normal grinding tasks like masala grinding, dry grinding and chutney grinding mixer grinder with 400 watts motor power is more than enough. However, if you have a plan to use your mixer grinder for grinding Idly Dosa batter, you will need a more powerful 750 watts motor. However, all of our households would have a separate table top wet grinder to handle this task. Don’t we? 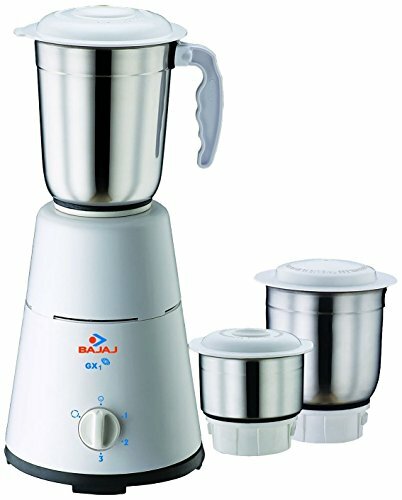 If all you need is just a mixer grinder, you are good to go with any best juicer mixer grinder listed in this post. Every single item in this list is equipped with 500+ watts motor power. The speed of the motor or how fast the blade rotates per minute is measured in terms of RPM. Usually, mixer grinders are designed to have an RPM ranging between 18,000 To 22, 000 RPM. Low to Medium RPM is ideal for any best Juicer Mixer Grinder. The reason is, when the blade rotates at the highest RPM, usually the spices wouldn’t come in contact with the Mixer Jar. It will start to float inside the Jar. If it’s liquid, it will also cause problems with the Juicer. So it is more suggested to operate your mixer grinder at the medium speeds even if your machine comes with high RPM motor. 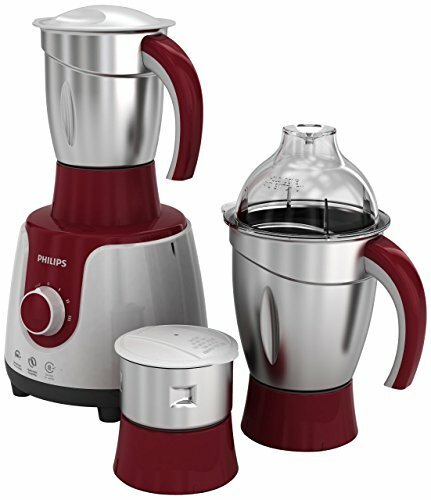 Look for a Juicer mixer grinder that lets you set speed from slow to its highest possible speed through switch control. It will help you avoid the floating and improper grinding problems occur in Juicer and wet grinding jars. 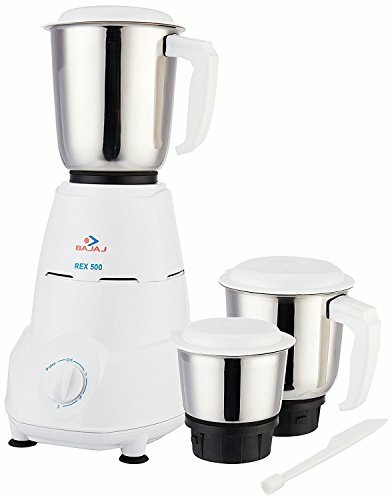 To meet all your kitchen needs, the mixer grinder you purchase you should have at least 3 Jars. One medium sized jar for chutney making, one small sized jar for dry grinding the spices and one large sized jar for juicing. Electronics products tend to wear out over the time. They may cause repairs sudden repairs too. It will happen even with the best company products. So whenever you buy an electronic item looks for its warranty and check whether it has service centers near to your location. 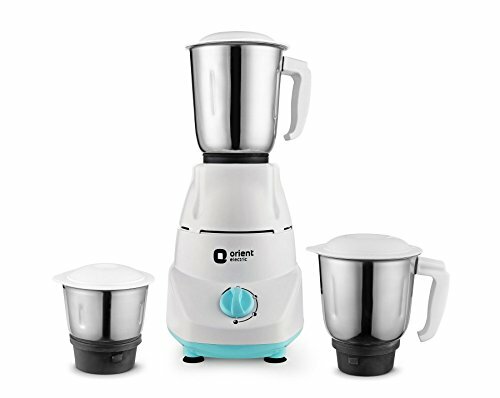 Getting a Warranty and the best sales after service will ensure you have a hassle-free experience with the product.Every best mixer grinder manufacturer offers warranty and service to their product. Hence don’t settle with a product that does not has any warranty. Do not get the mixer grinder just because they are new in the market, read reviews and the specifications. Choose the Mixer grinder based on its usage whether it is for home or for commercial use. 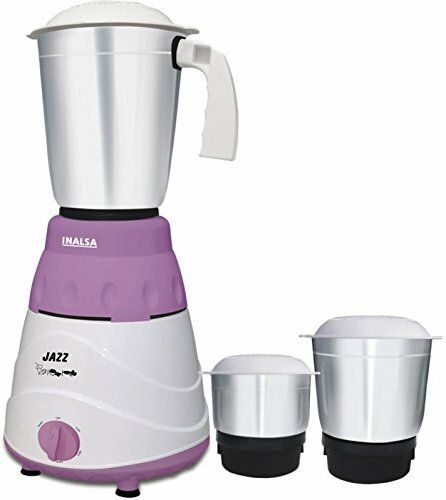 Choose the Mixer Grinder along with Jar specifications also because separate jar for Extracting/Blending/Juicing/ will be convenient rather than adjusting with the same jars. The brand is very important. Don’t go for unknown mixer grinders just because they are available cheap and have low EMI’s. Getting a juicer mixer grinder is a onetime investment. You are not going to change it every year like your smartphone. So we strongly recommend you to base your buying decision on the features of the product rather than the price. Safety lock systems ensure that your machine does not operate until the jar is closed and secured to the base unit. This avoids accidental turning on of the machine with lid still open or hands in the jar. Most food mixers come with pre-determined capacity they can handle. Increasing load can lead to motor bursting. Most mixers today come equipped with Automatic overloading protection. It is advisable that you buy a food mixer that has this feature. What it does is, it reduces electricity supply when overloaded. This way, chances of accidents and damage are reduced. This will ensure food does not float when the mixer reaches its highest RPMs. So after having gone through the top sellers in mixer grinders, here’s something you can do before buying one. Know what you should look for before buying any mixer grinder or blender set! Power – Power in watts represents the capacity of mixer grinder machine motor. It affects the amount limit of product which you are going to mix or grind in the grinder. 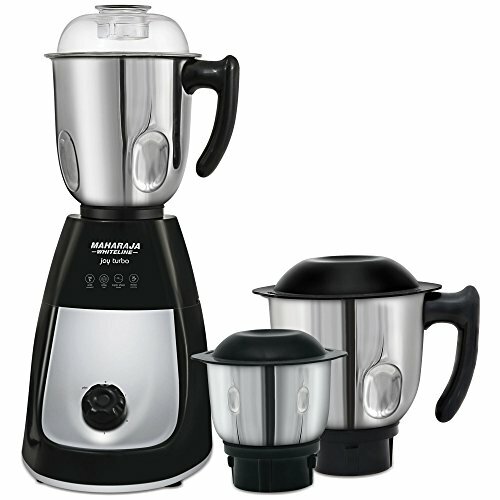 Number of Jars – The mixer & grinder set you buy must have different types of jar sets according to your usage. Noise – Noise level can also be an important factor. Nobody wants a machine which is too noisy. Unlike old mixer grinder, new ones have less noise level. So with everything at hand now, you need not worry about getting the best deals in mixer grinders. Go ahead and start shopping! Tips to keep in Mind while using mixer grinder? Why should you buy juicer mixer grinder online? Online purchase of juicer mixer grinder is always a plus point as buyers can compare the price, features, customers feedback and ratings of different products in a single view on a single platform. This is all we got for the best juicer mixer grinder reviews. You can consider buying the best juicer mixer grinder online instead of walking from one place to another in search of getting one for yourself. Also, you are more likely to get it at great discounts, and there will be reviews from other customers that you can consider before buying. These will help you perfectly determining all aspects of the purchase you are about to make. Worth reading? Please share with your friends & family members. Next articleBest Washing Machines in India 2019 – Buyer’s Guide & Reviews!